Availability: FREE SHIPPING - Limited to stock on hand. Shown with solid walnut side accent panels. 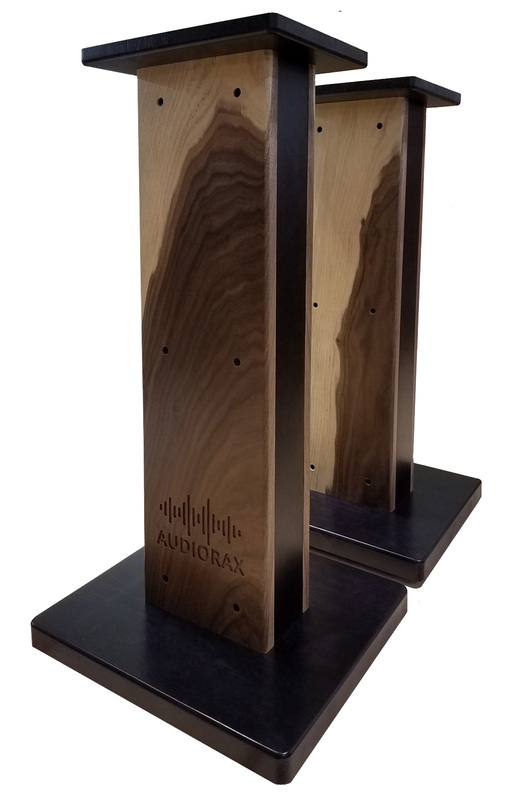 The AudioRax Speaker Stands are built with a solid maple base and top, stained ebony. The column is constructed with Baltic Birch plywood, also stained ebony. 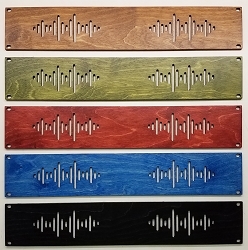 The accent cheeks are solid wood with our engraved logo on one side. All parts are sealed with satin lacquer. These stands feature two sets of cable management holes. The rear set is 1/2" in diameter and allows you to run your cable behind the column and through the bottom of the stand. 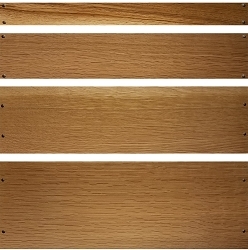 The second option is a 1" diameter hole through the top and bottom, centered through the column. This will keep all cables completely hidden. The stands ship with two 1" plastic plugs that can be inserted in the bottom cable management hole. These are not inserted during assembly. You will need to remove the bottom of the stand to install the plug. 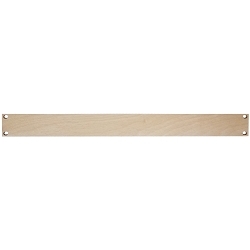 This allows the column to be filled with sand or gravel for sound deadening. All stands ship fully assembled and ready to use. Each includes four 1/2" tall rubber feet installed on the bottom. Sold as a pair. THESE ARE A LIMITED EDITION PRODUCTION RUN. LIMITED TO STOCK ON HAND ONLY. Total height with rubber feet: 26-1/4"
Actual weight approximately 18 lbs. each. Dimensional shipping weight for pair 97 lbs. 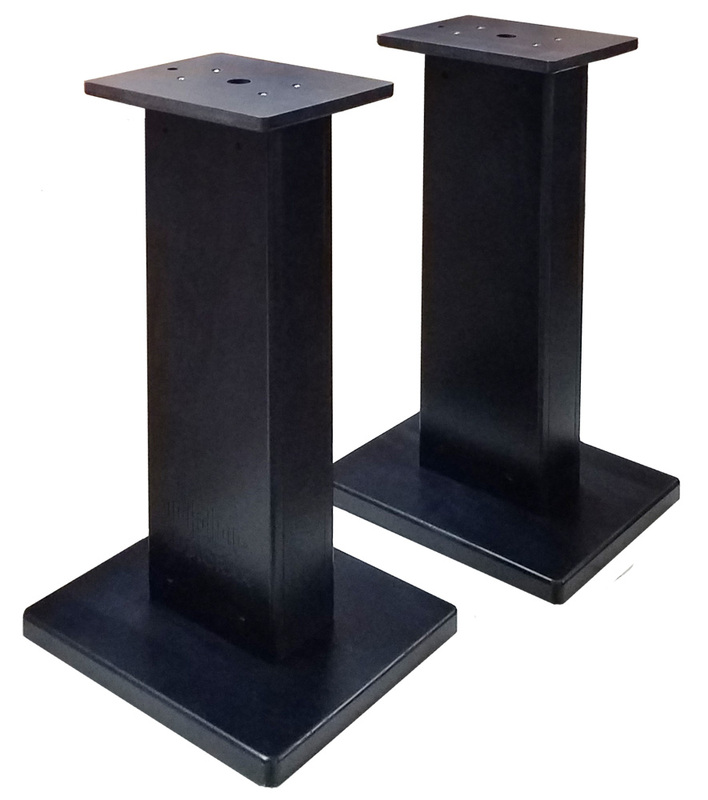 Each stand can hold up to 200 pounds.